CMS conducted the second round of end-to-end testing of claims with ICD10 data during the third week of April. MEDTranDirect, and one of our customers, Kimble Hospital of Junction, TX, were selected by Novitas for this round of testing. As part of the testing process, 30 claims were sent for processing through our 837Direct product in a single batch. Most contained ICD10 codes and future dates, some contained ICD9 and current dates. All the submitted claims processed properly and the corresponding 999s and 277CA records were received. In addition, CMS provided test 835 electronic remittance files that contained payment and adjustment data for the test claims reflecting how they will be paid in October. In preparing for the test, we took actual claims paid during 2015 using ICD9 codes and had them re-coded by Kimble’s coding staff using the original documentation and their new ICD10 coding process. We retained the original EOB data from the original 835 files. We were interested in measuring the impact of the new codes and the new CMS ICD10 DRG calculator on reimbursement. Although the sample size was small for this test, reimbursement appears to be similar to the ICD9 claims for the same clinical documentation. The final round of end-to-end testing will be the third week in July. 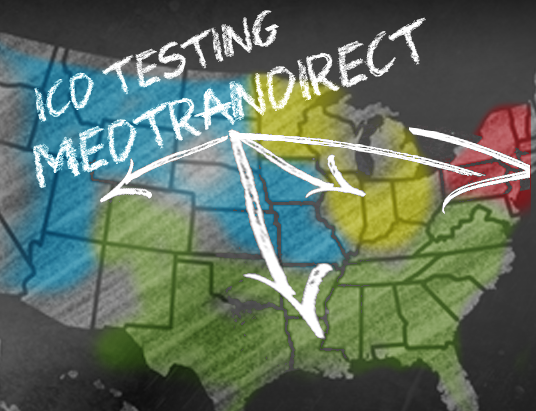 For this round of tests, MEDTranDirect has been selected for testing by every MAC except NGS. We will submit ten times the number of claims as we did in April and we will follow the same procedure for remittance data collection and re-coding of actual claims. We will have many different provider types and a wider range of services. Once these tests are over and the data has been collected, we will once again collect and compare the ICD9 reimbursement data with the ICD10 reimbursement data. We then will de-identify the results and publish the old and new EOBs created by our 835Direct application along with a white paper regarding the impact of ICD10 on reimbursement using this data. The data in this round of tests should be comprehensive enough that it will provide valuable and reliable information on how ICD10 coding might impact your revenue, especially for claims calculated through DRGs. We hope to have this white paper published by the beginning of September and it will be announced through this blog, so stay tuned. Please contact me if there are any specific questions or issues you might have that could be answered through this type of research and we will make an effort to create a test claim that will reflect the criteria for your specific concern.